BR 2-10-0 9F driving wheels. 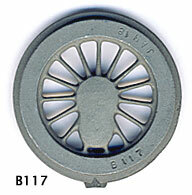 Hub face dias: B117, driven 18″, B118, coupled 16″; level with the tyre. 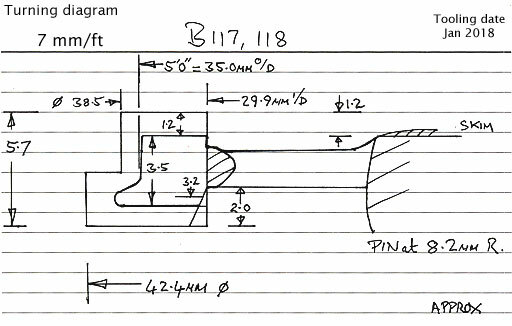 Pin between at 14″. Source: measured direct from a preserved loco at Butterley in 1995. 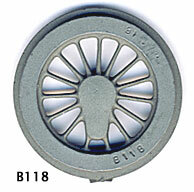 Castings: 35.0 mm tread diam., 29.9 mm i/d., hub level with the tyre, pin at 8.2 mm.